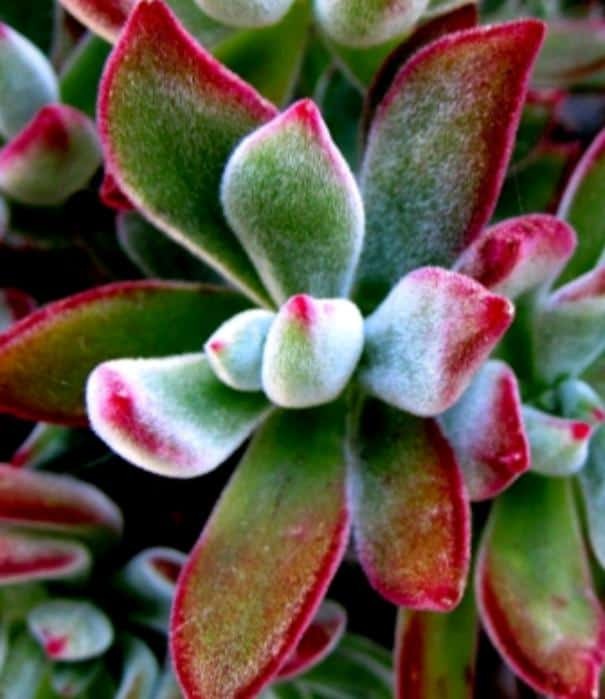 What Are Succulent Plants And Where Are They From? 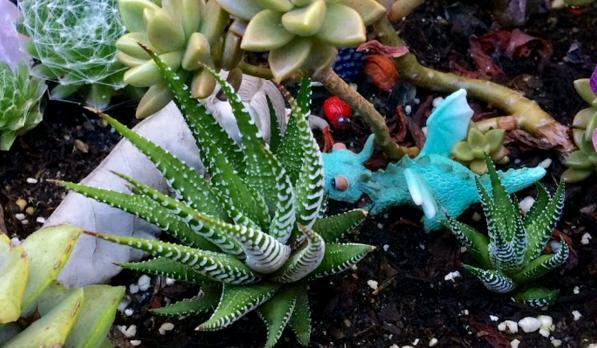 Succulents and cacti can be found in a huge array of shapes, sizes , colors and textures. Today, due to their popularity, we can easily find a variety of different types and species from all over the world. These plants are loved for their unique qualities and characteristics as well as their beauty and ease of care. Are succulents and cacti the same? How do we care for these plants? Are they worth collecting? Can I grow them indoors? We will explore these questions and much more. Succulent plants, or succulents, are a collection of plants that have water storage tissues. 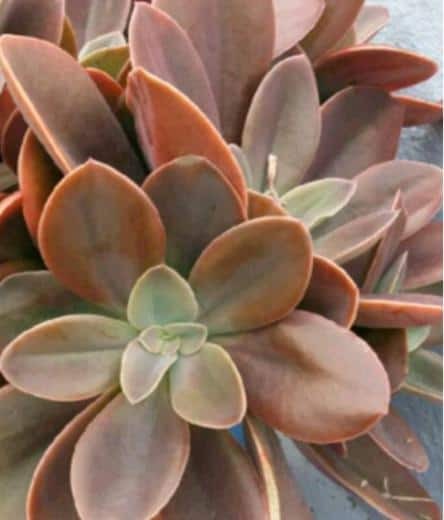 Succulent plants are drought resistant plants. They have adapted to survive very dry, arid conditions. These plants typically store water in their leaves, their stems, or their roots. 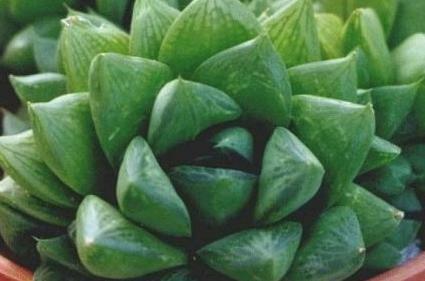 The word succulent comes from the Latin word sucus, meaning juice or sap. Their leaves tend to be fleshy, plump and thick to conserve water and to help minimize water loss. Cacti and succulents are sometimes grouped together and sometimes separately, which can lead to some confusion. A cactus or cacti are a unique subset of the succulent group. 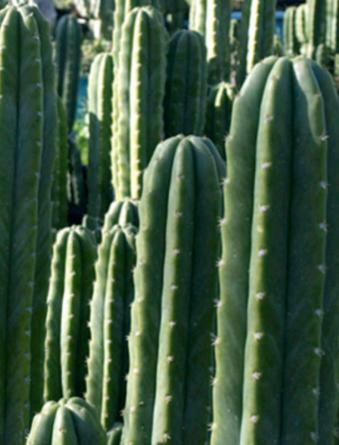 The cactus family, or Cactaceae, is one of the largest families of succulents in the world. 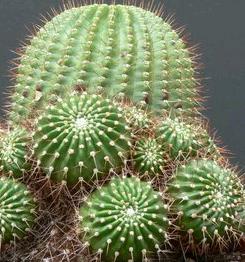 The word cactus is derived from the Greek word kaktos, meaning spiny plant. 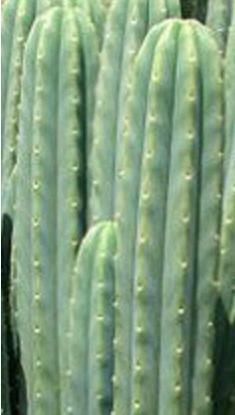 Cacti are fleshy plants that store water, making them part of the succulent group. This group of plants are remarkable for their fleshy stems which serve to store water, prickly or hairy coating, and very few, or rarely any leaves. 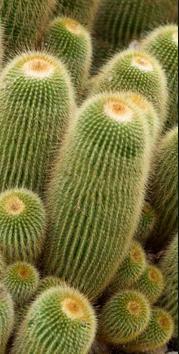 Due to these unique characteristics, you can almost easily identify a cactus just by their appearance. Generally speaking, all cacti are considered succulents but not all succulents are considered cacti. However, definitions and terminologies may vary depending on where you get your source of information. 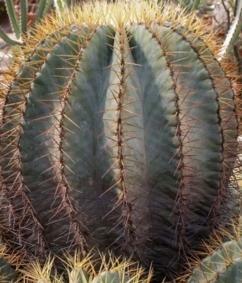 Horticulturists regularly excludes cacti from the succulent group. 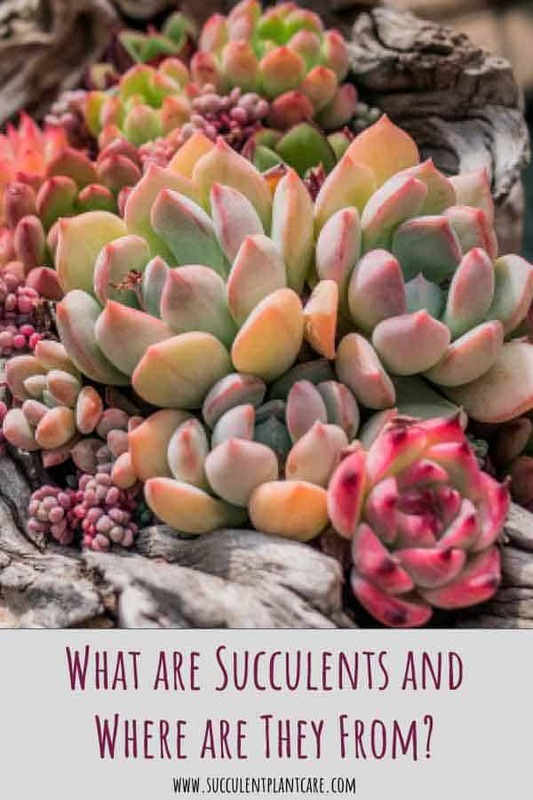 But for the majority of us succulent lovers or those who grow succulents as a hobby, these differences in definitions and classifications are not of major significance. 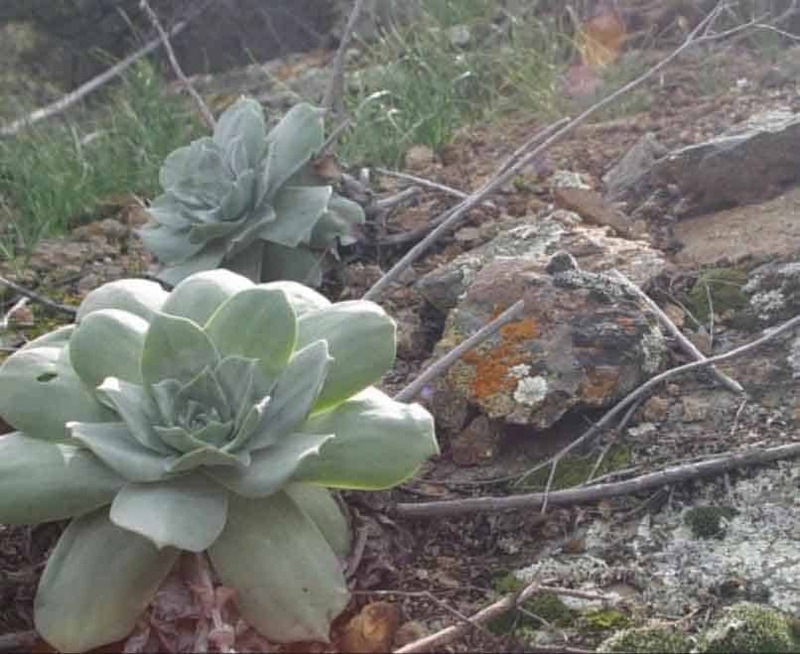 Succulents are found all over the world in their natural habitats. They have a wide and rich range of habitats and are often found in environments that would otherwise be uninhabited. Most come from dry areas, deserts and semi-deserts ranging from Africa to North and South America; still others are found in mountainous regions and rain forests. 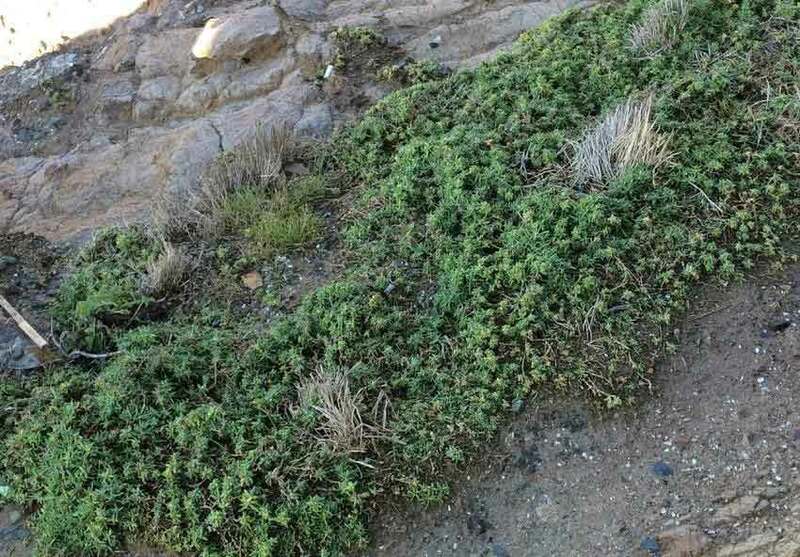 Conditions that are normally too harsh for other plants to survive, such as high temperatures and low precipitation have made these plants extremely hardy and adaptable. 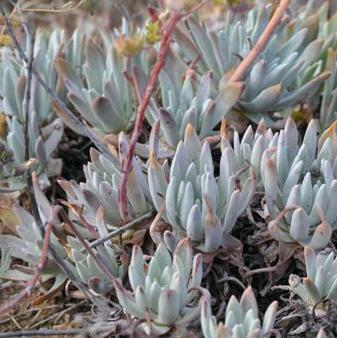 Some succulents are also naturally found in sea coasts and dry lakes, which can be detrimental to other plant species because of their extreme levels of dissolved minerals. 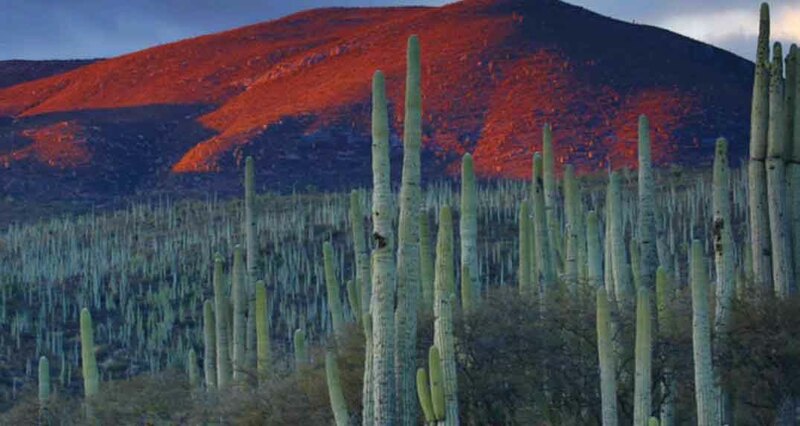 Mexico is home to many native succulent species. 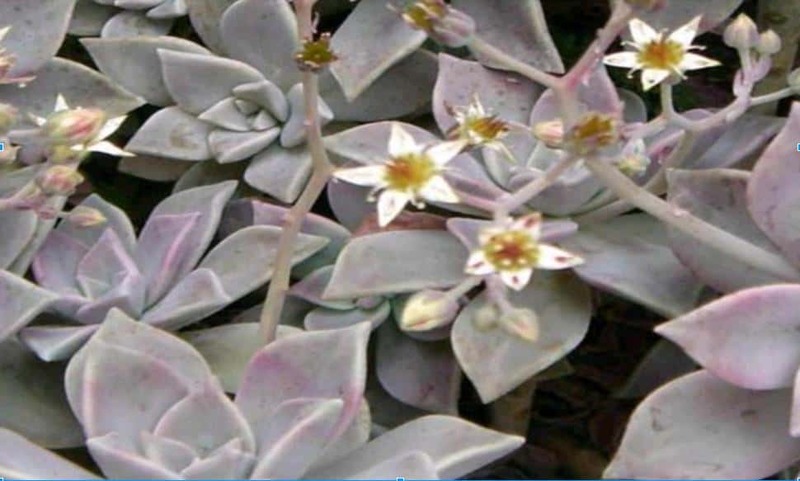 Some common succulent genus from Mexico are Echeverias, Graptopetalums, Sedums, Agave. 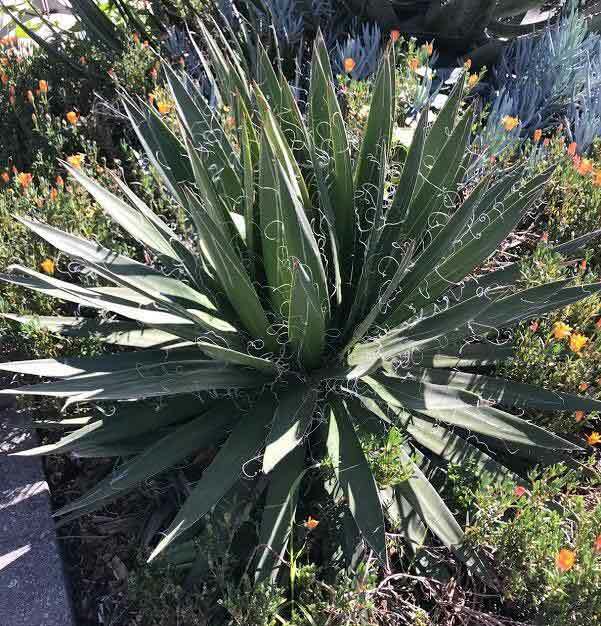 A beautiful perennial native to Mexico with thick, fleshy triangular leaves that form fleshy rosettes spreading on stems that may hang or trail. They can range in color from pale blue to light purple. In full sun they turn slightly translucent, yellowish-pink. In extreme heat and full sun with little moisture they turn gray with pink overtones. 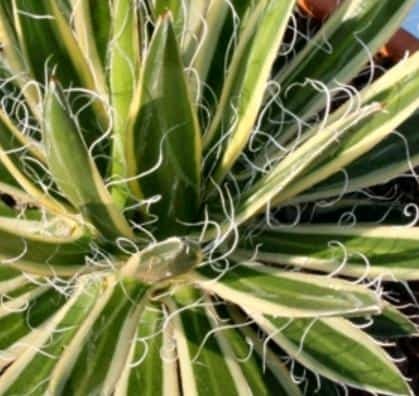 Native to Southern Mexico, these unusual looking plants are very popular among growers and collectors. They are perennial evergreens with abundantly long, hanging stems that can grow up to 3 feet long. 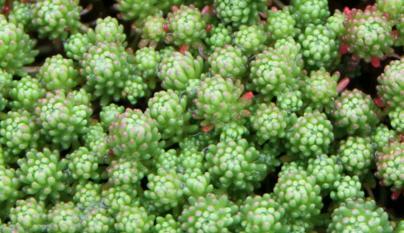 They have fleshy, plump, tightly compact blue-green leaves that are spherical. They require very little attention or care and will thrive in harsh conditions once established. 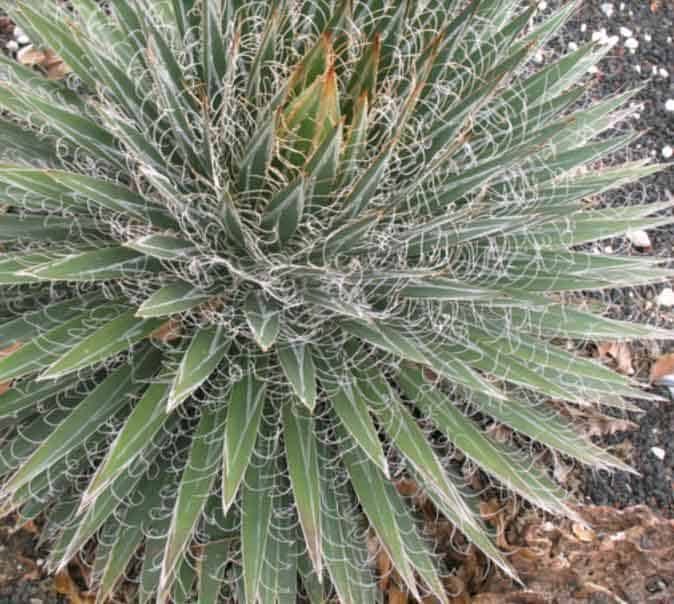 This type of agave is small or medium sized with golden to dark green pointed leaves surrounded by decorative white thread like fibers. It can be planted in landscapes or in containers. Its striking flower stalk can grow up to 11.5 feet tall and is densely covered in yellowish green, purple flowers. 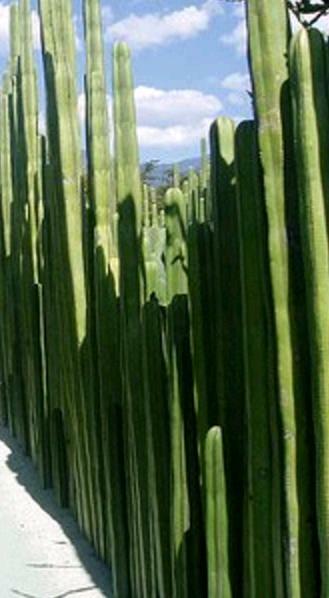 Native to Central Mexico, these cacti are slow growing but can grow very tall in their native habitat. They are yellowish-green to dark green in color. Their stems have five to seven ribs and branch out from the base to form clusters. They make for an attractive hedge or fence when planted in rows to make a living fence. 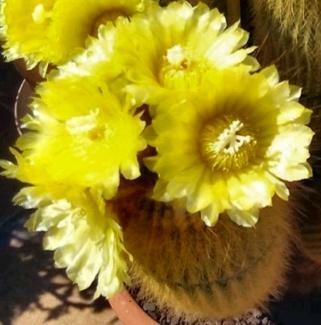 These cacti are low-maintenance plants and can be left alone once planted and need very little care and attention. They do need adequate sun and heat. They can also be planted in containers if desired. 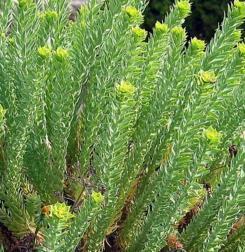 Native to Guatemala, this is an evergreen perennial succulent. It forms pretty rosettes with curved spoon-shaped wavy edged leaves. 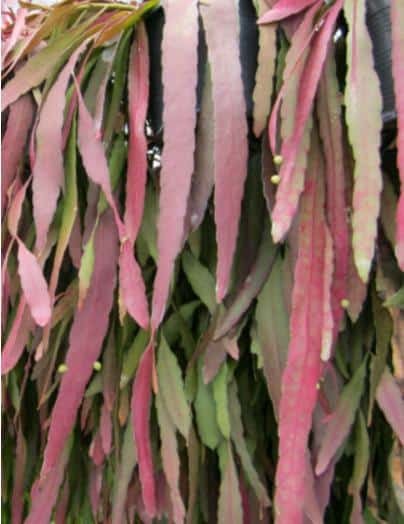 Their beauty is in the color of their leaves, which are metallic bronze-green with pink margins. These are not complicated to care for given the right environment. This plant is widely distributed in areas of Central and South America. Unlike most other succulents, rhipsalis is not a drought-resistant plant and watering regularly is needed. But overwatering can still cause root rotting and weaken the plant. It is ideally grown indoors and does not thrive in direct sunlight. Exposure to full direct sun can burn the leaves and turn them yellow. But insufficient sunlight can stunt its growth. These look amazing as hanging plants with their vibrant colors and blooms. Echinopsis is a large genus of cacti native to South America. There are 128 species of echinopsis. The name echinos comes from hedgehog or sea urchin, and opsis appearance, referring to these plants’’ dense coverings of spines. Native to Bolivia, these grow straight up like a tree with pups growing from the base, although it is rare for this plant to produce shoots and most don’t produce any side shoots. They can grow up to 13 feet tall and 4 inches in diameter. They only flower at night but the flowers stay open until late morning. Native to Bolivia, the stems are globe-shaped and can grow up 12 inches tall, with a diameter up to 3 inches wide. They have a solitary growing habit. They grow large flowers in relation to the diameter of the stems. 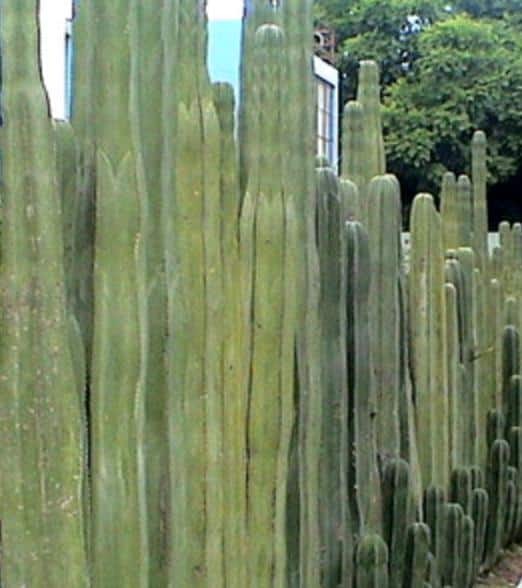 Native to Brazil, these cacti are globular when young, then columnar as they grow. They can grow up to 3 feet in height and up to 5 inches wide in diameter, with about 30 ribs. Only adults produce flowers that are yellow, up to 2 inches in diameter. They usually bloom in the summer. 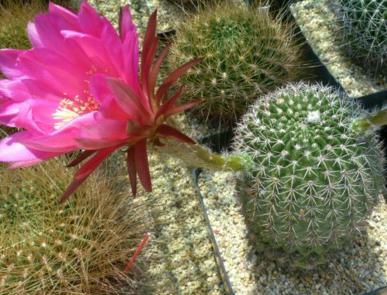 Mild frost may be tolerated by these cacti as long as they are kept dry. 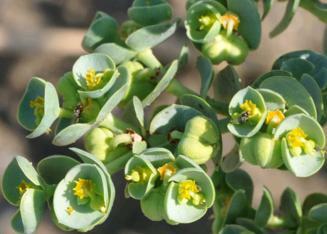 Native to Catalina Island, California, these plants can be found growing on rocks and cliffs on the island. The leaves are grey and chalky in appearance. 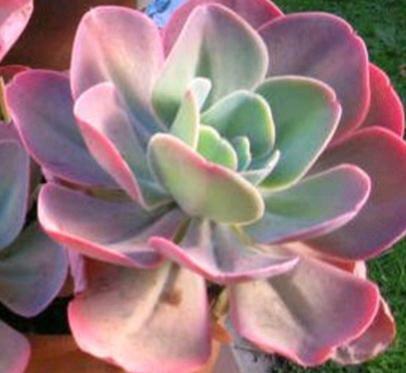 The tips of the leaves can turn an appealing pink color when left in full sun with little moisture in the summer. These plants make an attractive small scale ground cover in gardens. They also thrive as container plants given the right potting mix. These plants are amazingly resilient, giving them their name ‘live-forever’. 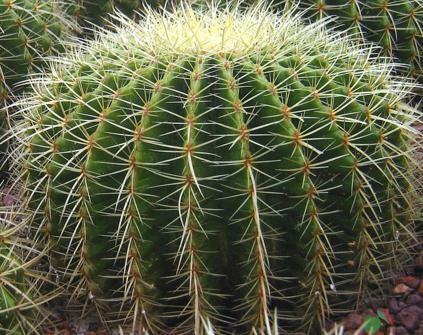 Barrel cacti are usually barrel shaped or cylindrical. They are covered in long, fierce spines that become curved and gray as they age. Fero, meaning “fierce or wild,” these plants can grow up to 6 feet in height and is usually among the largest cacti in Northern America. When planting, choose a location that receives direct sunlight most of the day. They require very little water. 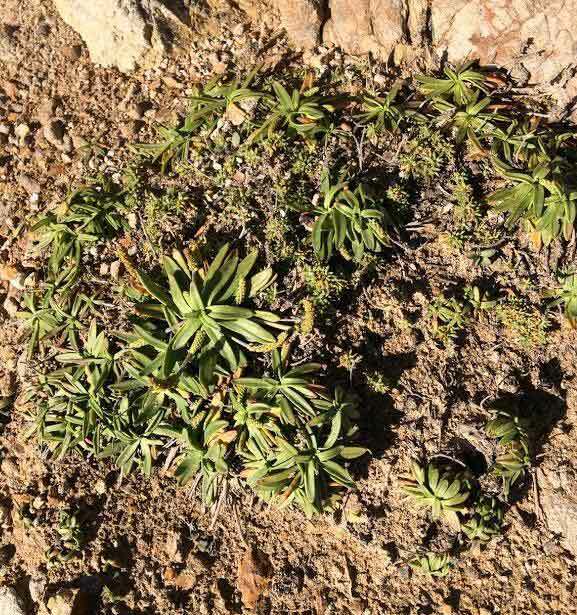 Due to its climate and terrain, certain parts of Africa are ideal locations for numerous native succulents. Native to Kenya, aloe juvenna is a clump-forming succulent branching from the base. Its color ranges from bright green to reddish brown when in full sun in the summer months. Leaves have spiny, sharp looking teeth-like edges, hence the name tiger tooth. The leaves are also speckled with white flecked spots. They can grow to about a foot tall. Like most succulents, tiger tooth aloe fare better in a fast draining potting mix. They are not fast growing plants and can stay in the same container for quite some time until repotting. It is important to be careful not to overwater, as this can be detrimental to the plant and cause rotting. Above are pictures of a Tiger Tooth Aloe or Aloe Juvenna from my personal collection. From the time this picture was taken, I have had this plant under my care for about nine months. The plant was a lot smaller when I first got it. I got it locally from a hardware store (Lowe’s) as a baby plant. I transplanted it to this pot using a commercial succulent mix that I got from the same store. This pot has a drainage hole in the bottom. 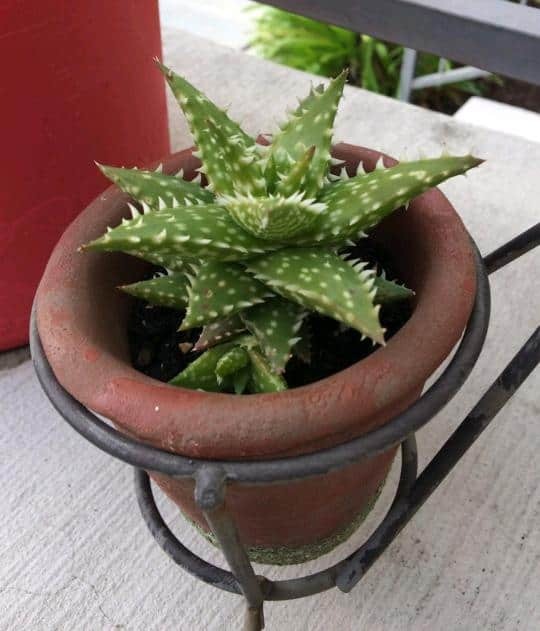 I was attracted to this plant because of the tooth like spines it had on the sides of the leaves that look sharp and menacing but are actually soft and harmless to touch. 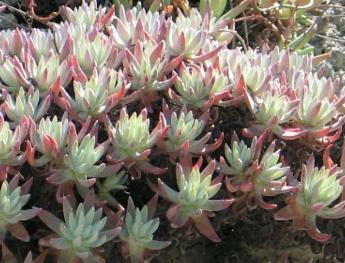 Like most succulents, the plant ranges in color and changes when in full sun or when in the shade. It is very easy to care for and low maintenance. 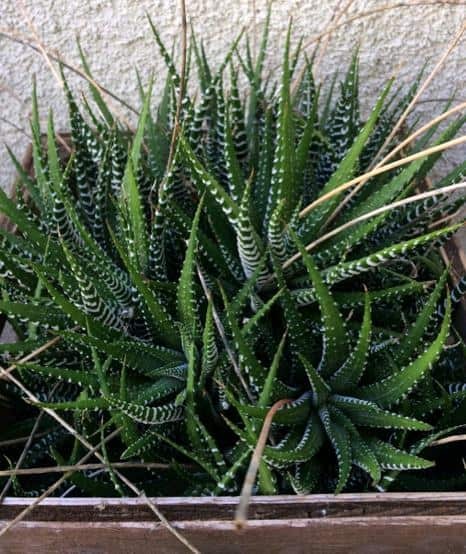 Native to South Africa, haworthia cymbiformis are characterized by clumps of dense rosettes with very thick, juicy clumps of green leaves (“cymbiformis” actually means boat-shaped). The leaves have glass-like appearing streaks on their tips giving them a unique appearance. 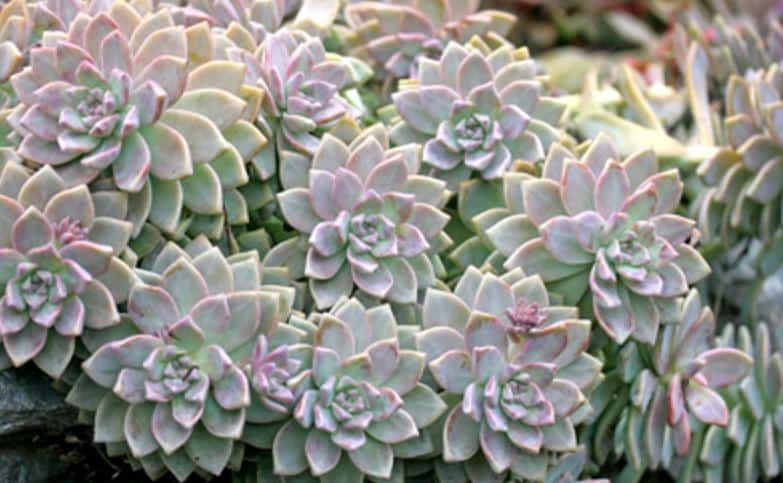 These plants are not difficult to grow, and overwatering may be the main concern as with most succulents. 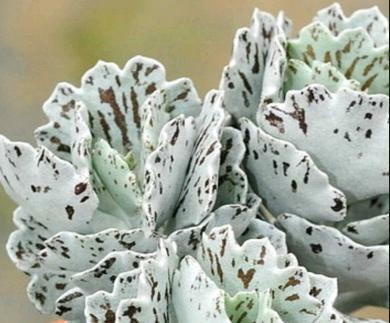 Native to South Africa, variegated zebra plant resembles an aloe plant at first glance. They are actually related with the same subfamily. 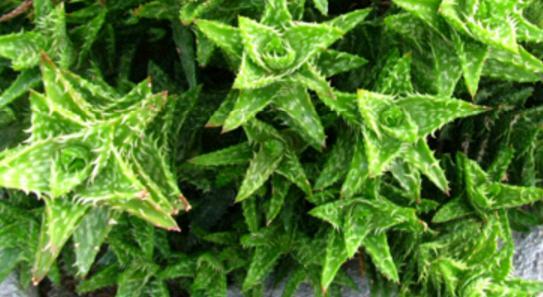 Their unique feature are their pointed green leaves and white variegated warty spots on the leaves. These plants prefer plenty of indirect sunlight. Water thoroughly during the growing season and less during the winter months. They produce offshoots which can be repotted in a suitable growing mix. Here is a picture of my Haworthia Attenuata. I have nurtured this plant from a tiny baby plant to this. It has produced many offshoots and baby plants over the years. It is a very easy and rewarding plant to grow. Here are two plants I have grown from offshoots of my original plant above. 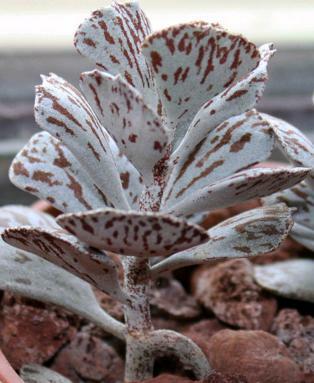 Native to Madagascar, these gorgeous perennial succulents have branching silvery green leaves with coppery-brown markings covered with silvery white flakes. 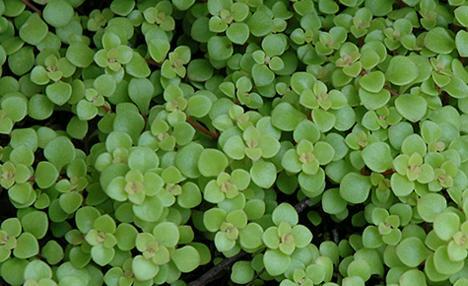 These are small, dainty looking plants with fan-shaped leaves. The flowers are pale greenish yellow with red lines. 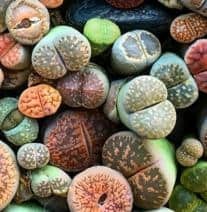 Lithops are very popular succulents due to their unusual features and unique shapes. These plants have no stems and are made up of thick leaves that grow in pairs. These are slow growing plants, making them ideal container plants. Older plants grow in clumps of “pebbles or stones” giving them their signature look. Lithops will tolerate intense heat and bright, indirect light as well as cold temperatures, but only briefly. Depending on where you are, lithops are not hard to find these days and can be found in local plant nurseries. I have never owned one personally. Maybe I am intimidated by these ‘alien-looking’ plants, but more so I think I am afraid of killing these beauties because it would be too devastating. One of these days I will gather up the courage to own and care for one. Native to Southern India, hoya plants are known for their thick, almost heart-shaped leaves. A vast majority of hoya plants are not succulents, but some are. There are many species of hoya plants out there. These plants do not need direct sunlight but they do need a lot of light to grow. They can be grown indoors or outdoors. 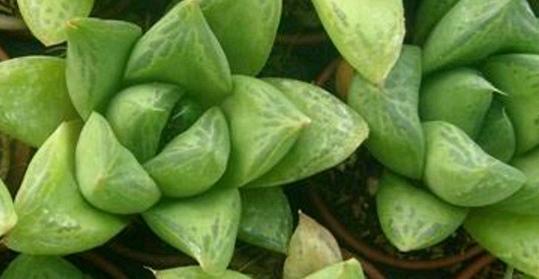 Native to Asia, these succulents are perennial herbs with green, fleshy round leaves. The can grow up to four inches tall. 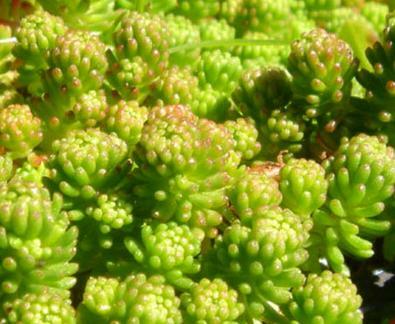 Sedum plants in general need very little attention and care. They will thrive in almost all conditions. They are ideal as ground cover in yards but can be grown as containers plants. Growing them in containers help contain their growth. Native to Western Asia and some parts of Europe and Africa, Euphorbia Paralias is a small shrub that can grow up to 32 inches in height with multiple stems covered in small compacted leaves that are light green in color. 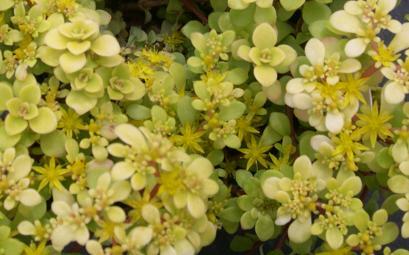 Euphorbias are very easy plants to grow and require little attention or care. 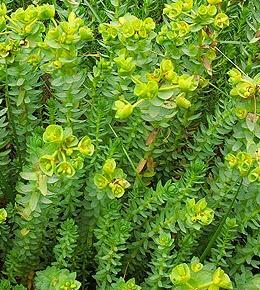 These can produce small yellow-green flowers at the top of the stems. 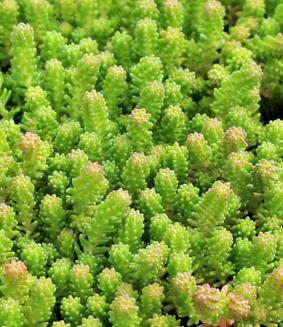 These are very popular succulents that make excellent groundcover. 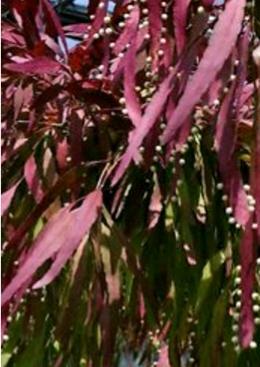 These are evergreen shrubs that turn red in color in colder months during fall and winter, and also in drought or with very little water. They can also be grown in containers, which make them ideal filler plants. They flower in early summer, showing clusters of small white flowers. 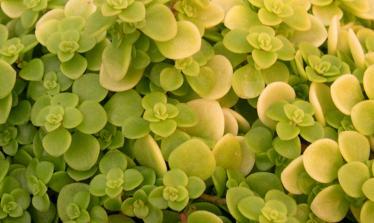 Sedum plants are very easy to care for and require little to no attention or care. 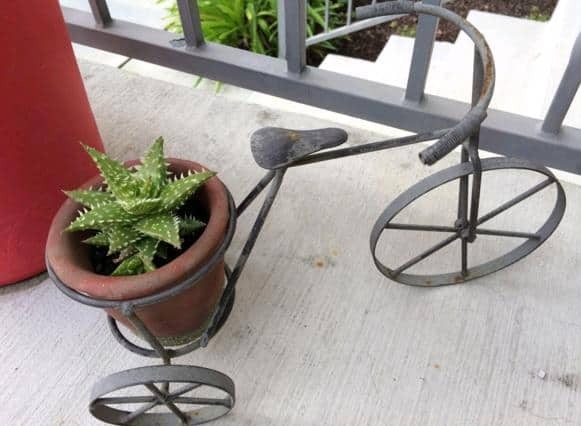 They can be placed in areas that receive too much or too little sun and water. If you are like me, I was curious to know how these plants gained worldwide popularity overtime and became common houseplants that we enjoy now. I did some research and thought it fascinating how the first few cacti or succulent plants were ‘discovered’ and led to more discoveries which brings us to where we are now. Originally, cacti grew only in the American continents and succulents were native to different regions in northern Europe and the Far East. A big concentration of them were found in southern and eastern Africa. During the late 15th century, when the race to find a western sea route to India started, major expeditions began. Christopher Columbus is said to be one of the first explorers to have taken the first few cacti to Europe, and presented these strange-looking leafless plants to Queen Isabella of Spain. 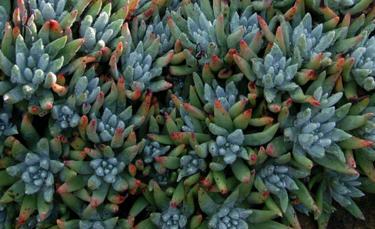 Other explorers such as Vasco de Gama discovered succulents in southwestern Africa and India. Spanish missionaries who colonized Central and South America in the 15-17th centuries sent plants back to Europe on trading ships. In the 17th century the Dutch East India Company shipped many plants to Holland and to the Royal Botanic Gardens. As these expeditions continued many new species of plants were found, and interest in succulents and cacti continued to grow. Collection and cultivation of these plants became more and more desirable. The quest to find newer and more exotic plants continued which sadly led to plundering of these plants overtime from their natural habitats as prices grew and it became very profitable for the locals to exchange these plants for money. Today, due to habitat loss and poaching most cacti and succulents are endangered and vulnerable to extinction. 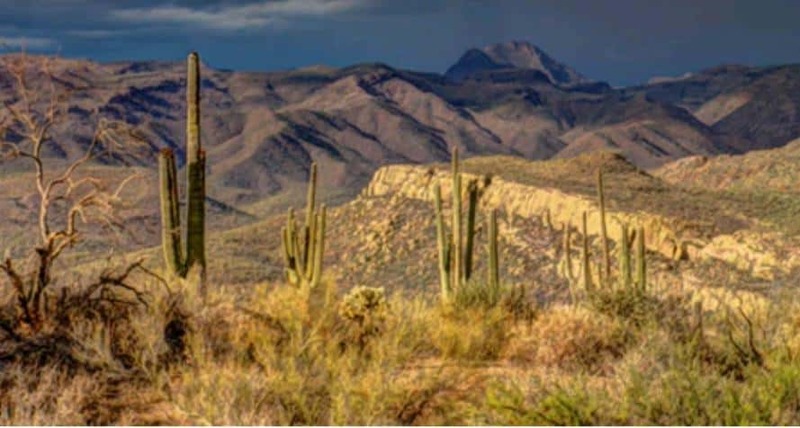 Cacti species from the Americas are now regulated under CITES – the Convention on the International Trade of Endangered Species of Wild Fauna and Flora. 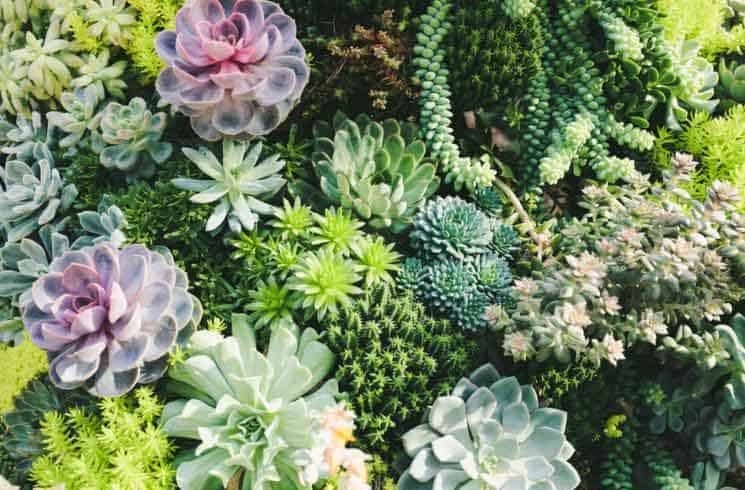 Luckily, due to extensive knowledge and research gained over the years, cultivation of cacti and succulents have been well established and best growing practices can be observed so that we may enjoy these plants for many years to come. Before I started my own succulent collection, the closest I had to a thriving plant was a baby aloe vera plant gifted to me by a coworker. Back then, I had not even heard of succulent plants. Ironically, aloe vera plants are one of the most popular succulent plants out there. That aloe vera plant grew like crazy even though I had no clue how to care for it. I simply placed it in a pot with soil and watered whenever I thought it needed it. The plant kept producing baby plants and grew and grew. Overtime, I had to move across country and had to leave the plant behind with my mother. When I moved from the East Coast to the West Coast, I found this small little plant on clearance one day during winter at a Home Depot store near me. 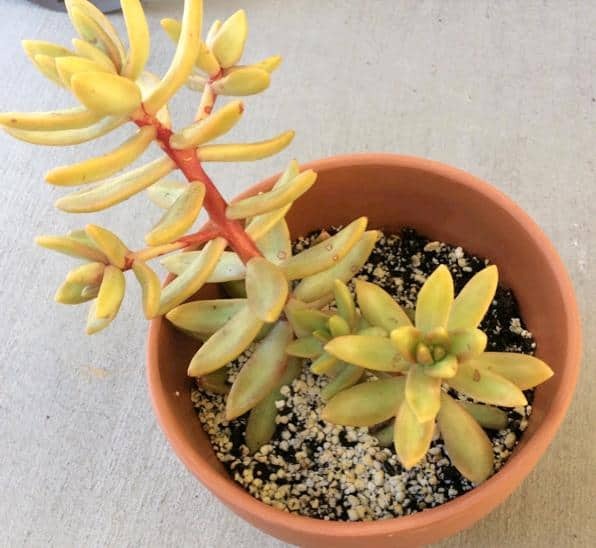 Being a sucker for sale items and feeling sorry for the little plant, I picked it up and repotted it in an all-purpose potting mix having no idea what kind of plant it was. I watered it regularly as I saw fit and this little plant rewarded me by not only not dying on me, but also thriving. After the winter season came Spring, and this plant doubled or maybe tripled in size and soon I was repotting it. I went back to the store for more and later found out it was a type of succulent. As some of you collectors can relate, this started my hobby (or shall I say obsession) and small collection of succulents which has continued eight years later. Here is a picture of my original ‘baby’. I have done cuttings over the years and given some away to friends and repotted some of the other cuttings to start a new plant. I believe this plant is one of the easiest and more forgiving plants to grow. By rescuing it while it was on clearance it has rewarded me again and again over the years. 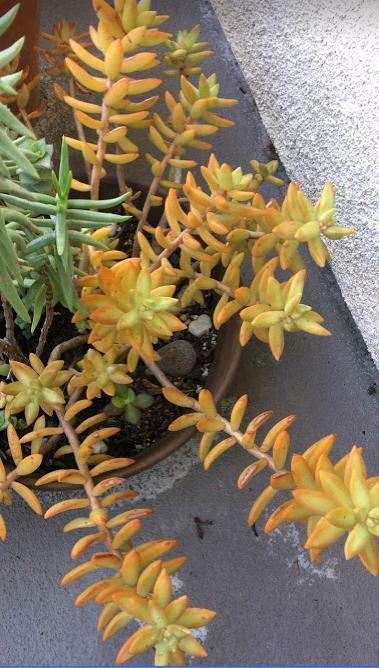 This plant’s color ranges from light green in the shade to coppery orange in full sun and heat. They are drought and heat tolerant. They can trail when mature and look great in hanging containers. This plant was taken from a cutting of the original plant above. It is happily growing in its own pot and producing babies of its own. If you are looking to purchase succulents and cacti online, please click on my resource page for recommendations on where. 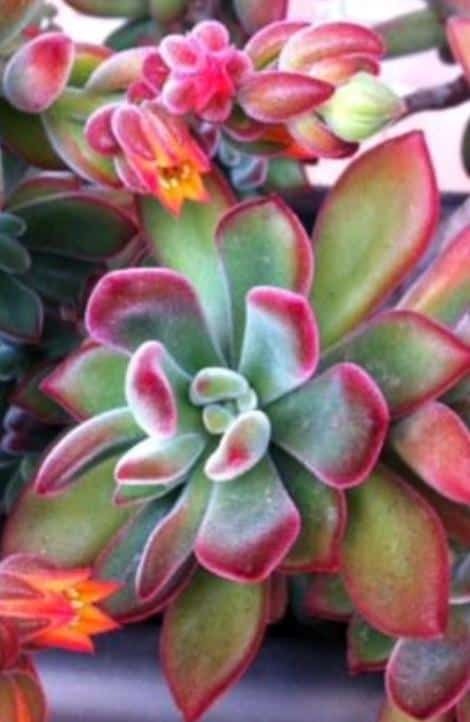 NextBenefits of Growing Succulents/Why Are They So Popular?